John B. Grummon, 78, of Fort Dodge, IA, died Thursday, March 21, 2019, at Unity Point Health in Fort Dodge. A celebration of life gathering will be held at the Historic Bruce Funeral Home, 923 1st Avenue South, on Wednesday, March 27, 2019, from 4:00 PM – 7:00 PM with Military Honors conducted by the Fort Dodge VFW Post 1856 and the Air Force Honor Guard at 6:00 PM followed by a time of sharing. Memorials may be directed to the family. John was born August 8, 1940, in Ida Grove, IA, the son of Howard and Florence (Peterson) Grummon. He graduated from Dayton High School in 1958. In December of 1958, John enlisted in the U.S. Air Force and proudly served his country until his honorable discharge in September of 1962. Over the years, John worked for AVCO New Idea, Coats Company, Globe Union, Salvation Army and the YMCA until his retirement in 1998. 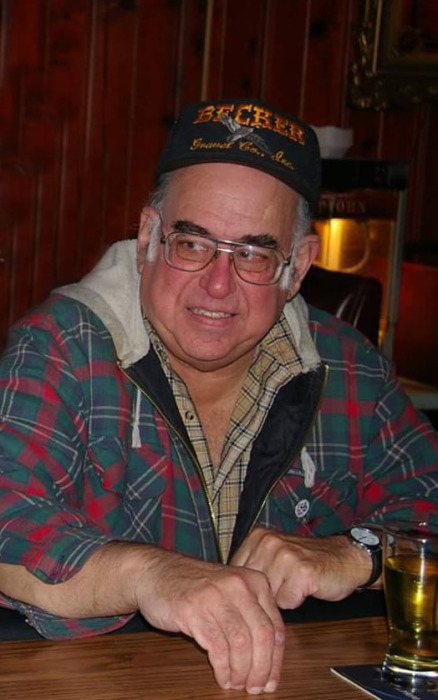 John enjoyed spending time with his family and friends, being a patron of Amigos, shooting his guns, collecting stamps, puzzles, collecting coins, hunting, fishing, mushroom hunting, bowling, going for nature rides and sports – especially basketball, football and baseball. John is survived by 3 children: Sally “Renee” Williams of Fort Dodge, Scott Williams and wife Iva of Kamrar, IA and Bruce Grummon and wife Tanya of Rockwell City, IA; 6 grandchildren: Tyler, Regina, Amber, Brenna, Celsey and Kayla; 12 great grandchildren; 1 great great grandchild; a sister: Susan Grummon of Phoenix, AZ; and one nephew. He was preceded in death by his parents; a grandson: Tad Fetters; and a great grandson: Trevor Fetters.